All photos courtesy of FloridasHistoricCoast.com. Like no other Florida beach or coastal city, St. Augustine (about an hour’s drive from Jacksonville or Daytona Beach airports) is truly special and offers not only vast sandy beaches created by barrier islands allowing for beach weather all year long, but also the city embodies a wealth of historical significance that can be seen virtually everywhere you look. Why so much history packed in such a tiny town you say? On Easter of 1513, Spanish explorer Juan Ponce de Leon shored his boat here and named the area “La Florida,” after the Easter festival of flowers, “Pascua Florida.” In 1565, Spanish explorer Pedro Menendez de Aviles founded St. Augustine, naming it after the Catholic Saint Augustine of Hippo. In 1821, the Spanish ceded Florida to the U.S. when it became an American territory until achieving statehood in 1845. St. Augustine is considered to be the oldest continuously occupied European settlement in the U.S. and features centuries-old forts, buildings and cobble- and brick-lined streets. You’ll also see horse-drawn carriages touring the town with guests. This year the city and the state of Florida celebrate the 500th anniversary of the European discovery of America proper. 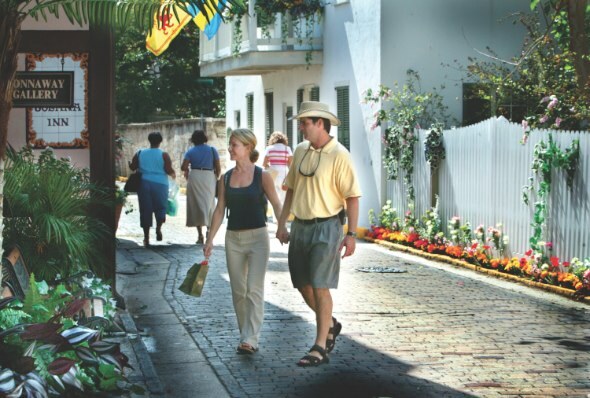 With the numerous historical “Viva 500” festivities planned this year and so many more amazing attractions for both families and couples, it’s a great time to put the ever-charming St. Augustine on your map. For royally historic nights of sleep, rest your bags no further than the steps of Casa Monica Hotel. Casa Monica, a Kessler Collection hotel, is St. Augustine’s only AAA Four-Diamond accommodation and has played host to the king and queen of Spain. Originally built and opened in 1888, Casa Monica was fully restored in 1999 after having served as the county courthouse since 1962; prior to that it was the prosperous Hotel Cordova that finally closed in 1932. After the current owner’s $10-million renovation, the rich history of the iconic landmark charms all who visit this fortress-like property. The hotel once again exudes the same splendor that guests would have experienced 125 years ago when it was called Hotel Cordova. Overlooking the downtown district and Matanzas Bay, Conde Nast Traveler Readers’ Choice winner Casa Monica captivates guests with it’s distinct worldly flair combining art and history that is translated by an awe-inspiring grand lobby decked out with Moroccan frescos, fountains, tapestries and magnificent chandeliers, all contributing to the property’s mystique. The guest rooms and suites give the feeling of old world charm among Spanish romanticism. Another treasure to be discovered at Casa Monica is the hotel’s signature restaurant, 95 Cordova, which has been featured on the Food Network and Travel Channel. Here guests enjoy a dining experience that they call an art form. The seasonally inspired new world and eclectic menu features favorites such as the Kessler Calamari (fresh as you can get!) and Chilean Sea Bass or the Blue Cheese Filet Mignon. After dinner, head to Casa Monica’s Cobalt Lounge for the signature New World Martini and live jazz performed by the region’s best musicians. While there are far too many to list, here are some top attractions not to miss while you’re in town. 1. St. Augustine Pirate & Treasure Museum: Ahoy, matey! See the world’s largest collection of real pirate artifacts like the world’s only pirate treasure chest and one of only two existing 17th century Jolly Rogers; experience interactive exhibits, including the Disney Imagineer-designed “Below Deck” sound experience taking you back to legendary Blackbear’s last battle. 2. Castillo de San Marcos: You can relive the story of the first settlement in North America here, at this Spanish fort built in the 17th century that was later deemed a National Monument in 1924; the grounds are open to the public and tours of the interior are offered. 3. Fountain of Youth: Ponce de Leon’s search for this legendary spring led him to many great discoveries. Today the park pays tribute to the spot where it’s believed Ponce landed. Features at the museum include artifacts, a planetarium, natural springs and Indian burial grounds. 4. Lightner Museum: Located in Henry Flagler’s former Alcazar Hotel, the three-floor museum is an amazing collection of furniture, art, machinery, various styles of glass work, and costumes. While there, dine at Café Alcazar located on the lowest floor, which was once the original hotel’s swimming pool. 5. Ripley’s Believe It or Not! Museum, The Original: Can you believe it? St. Augustine is home to the first Ripley’s museum; it’s located in an 1887 Moorish revival mansion, where the absurd and odd boggles visitors’ minds. See many curiosities from Robert Ripley’s private collection. 6. 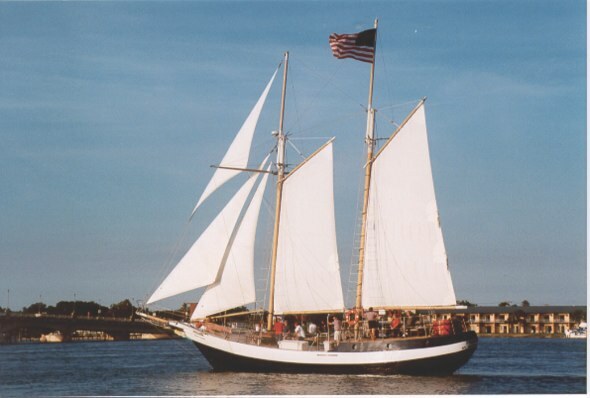 Schooner Freedom: This 72-foot watercraft is a 19th century replica and departs from historic downtown at the City Municipal Marina three times daily; take a day sail, evening sail, or for the more spirited, take the Ghost of Matanzas sail. 7. St. Augustine Alligator Farm Zoological Park: This zoological park is one of Florida’s oldest and most accredited, founded in 1893. With much more than gators, the park is home to rare and exotic birds, mammals and reptiles, including 23 species of crocodiles. 8. St. Augustine Lighthouse & Museum: Get the best views the city affords from the top deck. Bring your walking shoes – the 219 steps will take you 165 feet above sea level. This is the city’s oldest brick structure completed in 1874. 9. World Golf Hall of Fame & IMAX Theater: Learn about everything golf, including the players and history, via memorabilia, interactive exhibits, artifacts and more. Attend the World Golf Hall of Fame Induction Ceremony on May 6, 2013. 10. Whetstone Chocolate Factory Tour: St. Augustine’s “Original Chocolate Tour” takes chocolate lovers on a journey from the history to the actual making. Along the way take a four-tiered tasting and taste fresh confections as you stroll the factory. 11. Potter’s Wax Museum: America’s oldest museum of wax, Potter’s has over 160 famous and infamous life-like structures all carved with amazing detail. Get your photo taken with the cast of Seinfeld. 12. Aviles Street: Named for, you guessed it, the city’s founder, many of the homes scattered along both sides of this narrow cobblestoned street are well over two hundred years old, and the shopping is plentiful.